Swine and Dandy has set a new record with six, yes six, pigs in the house. Snookie is a rescue pig from a local shelter. 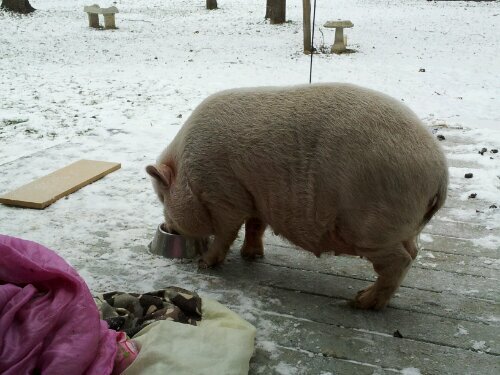 She will be at Swine and Dandy until she is spayed and then she will be transported to her new home in Upper Michigan. She is as sweet as they come. She flopped right over and let us trim her hooves. she is a little shy but we think that she was also abused at her last home.